In this week’s Industry Perspectives, Scott Manson, of Schweitzer Engineering Laboratories (SEL), explores some of the challenges of protection coordination for island mode operation of microgrids. 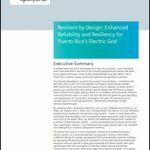 The challenges of protection coordination for island mode operation of microgrids vary per the grid topology and the generation sources such as photovoltaics, reciprocating diesel-driven generators, turbine-driven gensets, wind, batteries, or others. Consider a typical microgrid like the one shown in Figure 1 below. The system includes a battery capable of producing 145 A at 4 kV (1 MVA), a utility point of interconnect (POI), and a distributed radial load through a community. The design answers these typical concerns. 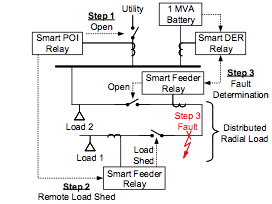 Notice that there are smart relays at the utility POI, at the reclosers located throughout the distributed radial 4 kV community loads, and adjacent to the battery. The following three-step scenario illustrates how the system works. In Step 1, the utility has an upstream fault and the microgrid islands. In Step 2, the microgrid is island mode has too much load for the battery to carry. In Step 3, a fault occurs on the microgrid in island mode. Step 1. Microgrid islanding starts with a fault, low-frequency event, or low-voltage event on the utility system. The smart POI relay detects this phenomenon and opens the interconnecting device, usually a recloser, circuit breaker, or something similar. 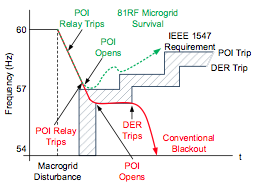 Most utility interconnect contracts contain frequency and voltage ride-through requirements, similar to IEEE 1547, as shown by the POI trip line in Figure 2. As shown by the red line, the challenge for conventional underfrequency elements is that the frequency continues to fall and the distributed energy resources (DERs) trip offline before the POI opens. An 81RF element that incorporates frequency, rate-of-change of frequency, time, and voltage supervision elements will trip early in anticipation of opening the POI at exactly the contractual boundary. The dashed green line shows a typical seamless transition with the 81RF element in use. Step 2. Once the POI opens, the battery cannot supply all of the load and keep the frequency and voltage at nominal. This is solved by the POI relay sending a load shed trip command to one or more remote smart feeder relays in the distribution system. This can be sent via either Ethernet or serial communications using copper, radio, or fiber-optic media. Proper cybersecurity measures and deterministic operational technology (OT) communications methods must be used. Step 3. A fault occurs, as shown in Figure 1, between Loads 1 and 2. When the fault occurs, the inverter at the battery expels full rated current and no more. Inverters cannot put out 10 times the rated current like a synchronous generator can. As a result, the fault current is so close to the load current that the relays have difficulty discriminating between them. The use of traditional time-overcurrent methods in this case usually will not work. Without smart relays, the battery-backed inverter would invariably drop its voltage, run its current to the limit, and trip offline. Without smart relays, the battery-backed inverter would invariably drop its voltage, run its current to the limit, and trip offline. The relays upstream of the fault would see current while those downstream would not. No single device would have the information needed to properly identify the fault; however, all the devices together (inverter, DER relay, and feeder relays) do have the information required to determine the fault location. Therefore, the solution is to have smart relays that communicate with millisecond-fast communications methods. The communications and relay decisions occur within a few power system cycles (~30 ms). Included in this time is the ultra-fast hardwired signals between the relay and the battery inverter. Because it all happens so fast, it looks like a “no-blink” power system to users and owners. 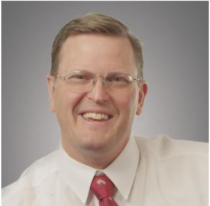 Scott Manson is the SEL Engineering Services technology director at Schweitzer Engineering Laboratories. What’s Next as NREL Ups the IQ of the Microgrid Controller? This report details how the integrated power system could look after the full implementation of the proposed plan, when outdated equipment not compliant with the federal Mercury and Air Toxics Standards has been retired and replaced by renewable generation supported by storage. Download this report to learn more.